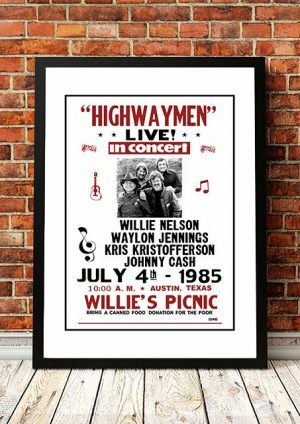 Classic Willie Nelson Band Concert Posters and Memorabilia! Buy Online Now! As a songwriter and performer, Willie Nelson played a vital role in post-rock & roll country music. Although he didn’t become a star until the mid-’70s, Nelson spent the ’60s writing songs that became hits for stars like Ray Price (“Night Life”), Patsy Cline (“Crazy”), Faron Young (“Hello Walls”), and Billy Walker (“Funny How Time Slips Away”), as well as releasing a series of records on Liberty and RCA that earned him a small but devoted cult following. 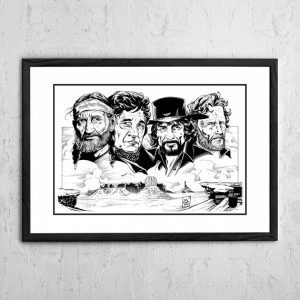 During the early ’70s, Willie aligned himself with Waylon Jennings and the burgeoning outlaw country movement that made him into a star in 1975. 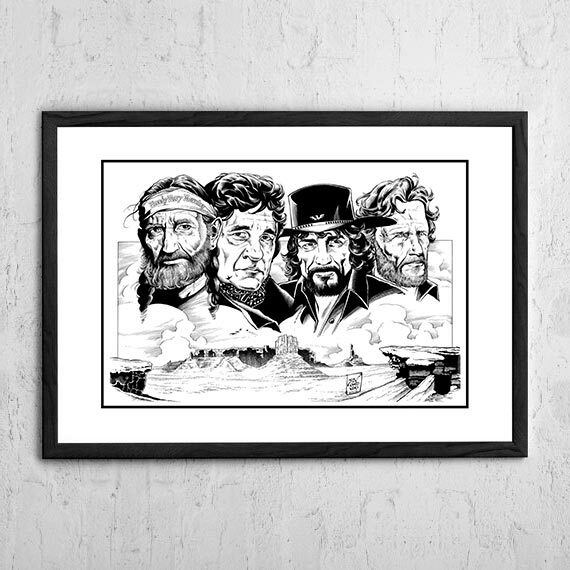 Following the crossover success of that year’s Red Headed Stranger and “Blue Eyes Crying in the Rain,” Nelson was a genuine star, as recognizable in pop circles as he was to the country audience; in addition to recording, he also launched an acting career in the early ’80s. Even when he was a star, Willie never played it safe musically. Instead, he borrowed from a wide variety of styles, including traditional pop, Western swing, jazz, traditional country, cowboy songs, honky tonk, rock & roll, folk, and the blues, creating a distinctive, elastic hybrid. Nelson remained at the top of the country charts until the mid-’80s, when his lifestyle — which had always been close to the outlaw clichés with which his music flirted — began to spiral out of control, culminating in an infamous battle with the IRS in the late ’80s. During the ’90s and into the 2000s, Nelson‘s sales never reached the heights that he had experienced earlier, but he remained a vital icon in country music, having greatly influenced the new country, new traditionalist, and alternative country movements of the ’80s and ’90s as well as leaving behind a legacy of classic songs and recordings. 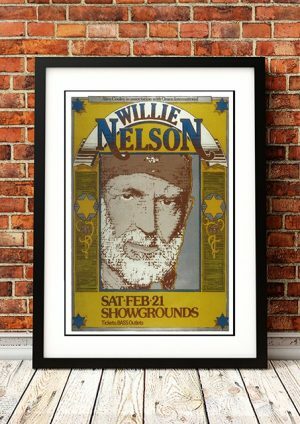 We stock some awesome Willie Nelson Band Concert Posters.